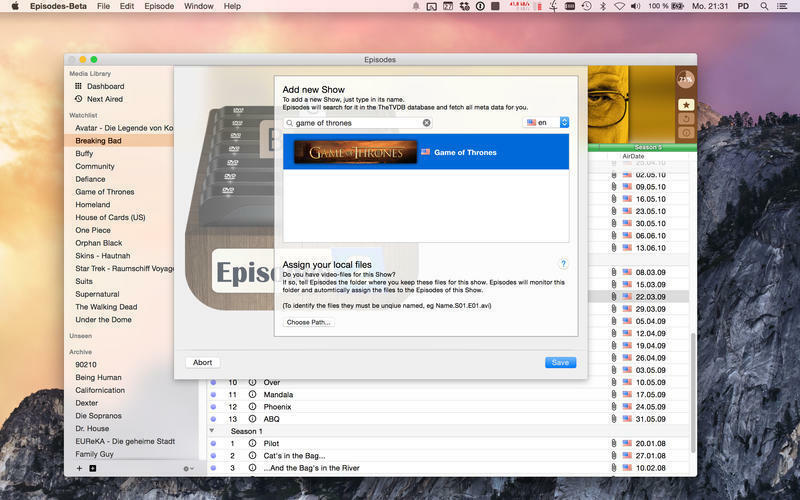 Manage all of your TV shows. Is there a better alternative to Episodes? Is Episodes really the best app in Reference category? Will Episodes work good on macOS 10.13.4? 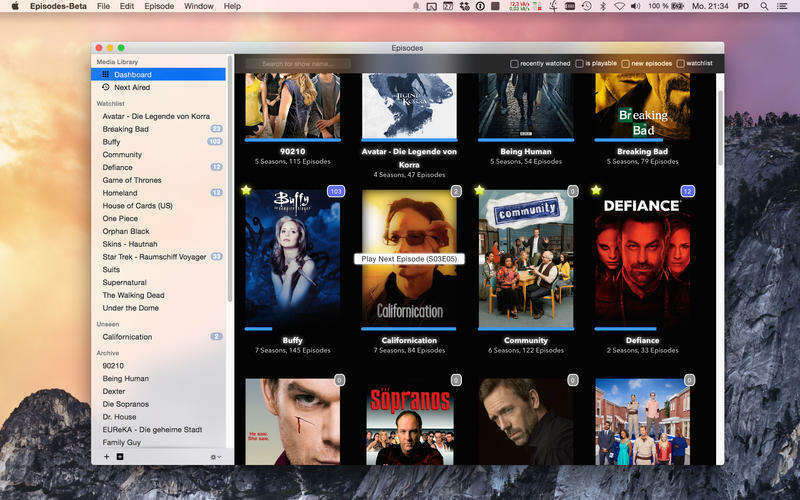 Episodes is an app which allows you to manage your favorite TV-Shows in a quick and easy way. 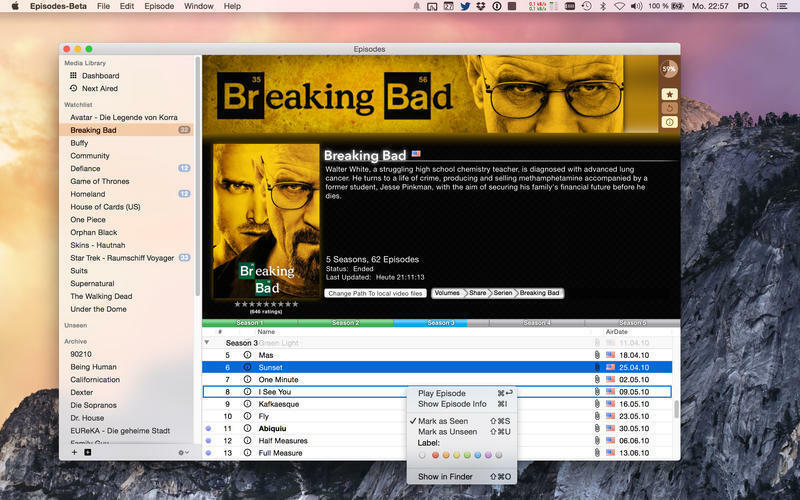 It features a powerful dashboard, which gives you a overview over all your favorite shows. It also allows you to play the next episode with one simple click from your hard-disk. It also tracks your viewing progress and shows you meta-data from TheTVDB.com. If you have backed up your DVD-Sets to your computer, Episodes automatically assigns these files to an show and allows you to launch your favorite video player. 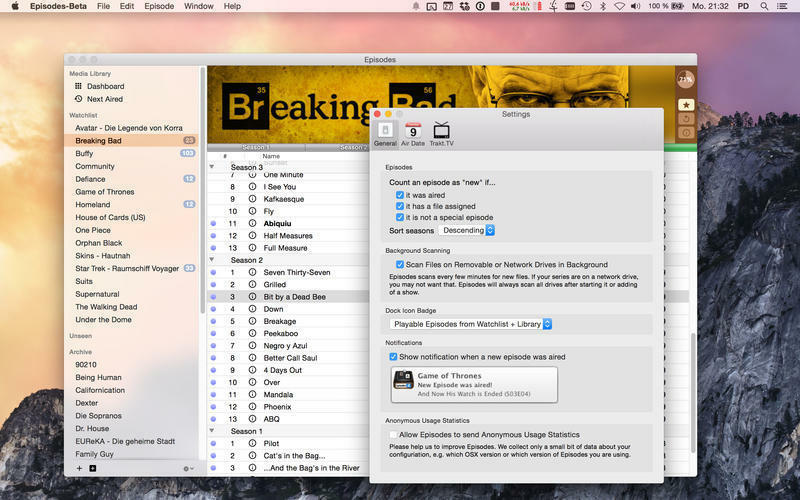 Episodes was designed for flexibility: It doesn't matter if your files are on your hard-disk, a network drive or an usb-drive. Visit http://the-skylab.de/episodes/ and check out our 65 second quick video tour. Please note: Episodes is not a video-player, you will need a installed player on your system (for example VLC, which is free). It also will not download any tv-shows.